We’ve yet to receive confirmation from MangaUK themselves but seeing as Anime-On-Line has a product listing for it then we get treat this release as fact; additionally with the London MCM Comic Con coming-up it suggests that Anime-On-Line has ‘accidentially’ listed the product before the distributor has had chance to announce it at the event. Anyway; in regards to the product, Yu-Gi-Oh! spans 224 episodes and with this first season set viewers are treated to 49 episodes that cover the entire first season. Yu-Gi-Oh! 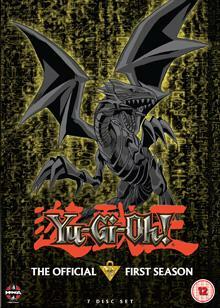 follows the adventures of a boy named Yugi and his friends who love the newest card game that is sweeping the nation! In this game, players pit monster against monster in high intensity duels. But there’s more to this game than meets the eye. 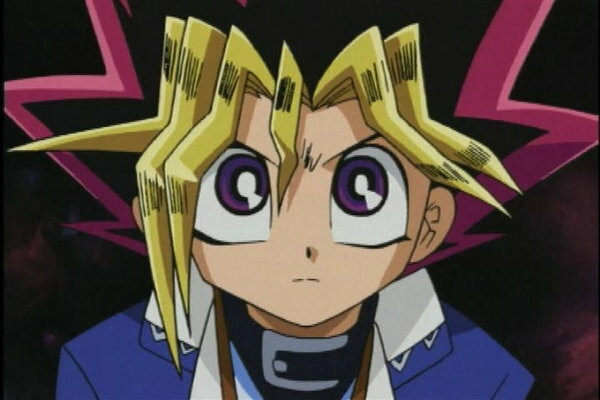 Yugi solves an old Egyptian puzzle that infuses him with the energy of an ancient spirit. Their forces unite to form a stronger, more confident duelist, for Yugi needs all the help he can get! Please note that this is a DVD version. It’s worth pointing out that this is the 4Kids Production version of the series and as a result the series is edited (compared to its original Japanese broadcast) and does not feature any Japanese Audio. A complete Dual-Lanugage audio version of Yu-Gi-Oh! does not exist, however FUNimation did start doing it but it was later cancelled after 12 episodes due to lack of interest. It’s assumed that Manga Entertainment UK will be releasing Yu-Gi-Oh! in Season Sets similiar to how New Video Group/Cinedigm released them within America, although we will know the full details once MangaUK confirms them. For the time being though Yu-Gi-Oh! – Season 1 is rumoured to be released on the 17th November 2014 within the UK.